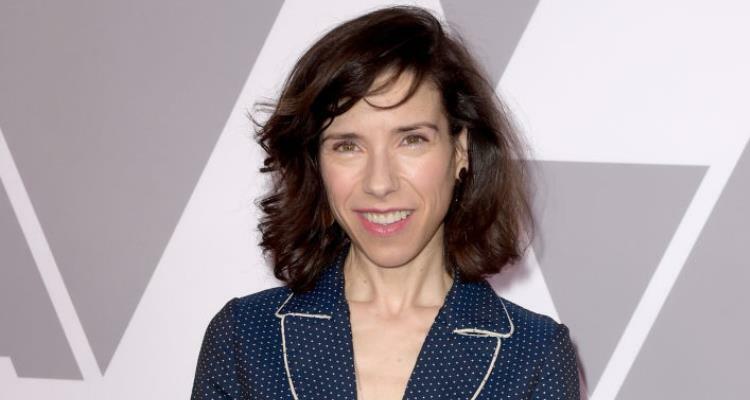 Sally Hawkins Boyfriend 2018: Who Is Sally Hawkins Dating? Who is Sally Hawkins dating? Does Sally Hawkins have a boyfriend in 2018? Over the years, the award-winning actress has garnered many accolades for her roles in quirky, dramatic, poignant, and funny films. As a versatile and highly celebrated actress, it’s amazing how easily she seems to be dealing with the pressures of fame! Unlike a lot of her talented and high-profile peers, Sally Hawkins has actually managed to keep an extremely low profile when it comes to her personal and romantic life. It has many people wondering if the British actress is single! Sally Hawkins, has been getting a lot of buzz lately thanks to her stunning performance as a mute custodian in the Guillermo Del Toro fantasy-drama flick, The Shape of Water (2017). The film itself was nominated for a staggering seven Golden Globe awards and won Best Director of a Motion Picture and Best Original Score! Hawkins was even nominated for the Best Actress in a Drama Motion Picture, but the award ultimately went to Frances McDormand for 3 Billboards Outside Ebbing, Missouri (2017). Of course, losing an award to an equally talented, versatile, and beloved actress in Hollywood hasn’t and shouldn’t deter Hawkins from continuing to pursue coveted film roles. We all love watching her on the stage and screen, so it’s only natural to want to know more about her personal life, as well. Hawkins is also nominated for a Best Actress Oscar, which means all eyes will be on her and whoever she decides will accompany her on the red carpet. Who is Sally Hawkins dating? Does Sally Hawkins have a boyfriend in 2018? Keep reading to find out! From a very young age, it was clear that Sally Hawkins was very ambitious, not necessarily about gaining excessive amounts of fame and fortune, but to become a highly respected actress. As the daughter of two children’s book writers and illustrators, it’s easy to see from where she gets her penchant for the arts and performance! Her parents encouraged Sally to pursue her dreams and she attended The Royal Academy of Dramatic Art, having graduated in 1998. In the following years, Sally appeared in numerous well-received stage productions including Much Ado About Nothing, A Midsummer Night’s Dream, Country Music, and Misconceptions, without letting her dyslexia hold her back! In 2002, Sally finally decided to try her hand in film by appearing in Michael Leigh’s All Or Nothing. Since then, she’s graced countless film sets and screens having appeared in such critically acclaimed and blockbuster movies as Happy-Go-Lucky (2008), Blue Jasmine (2013), Paddington (2014), and most recently, The Shape of Water (2017). Sally Hawkins and famous late-night comedian and actor, James Corden both met on the set of All Or Nothing during filming and instantly became close, lifelong friends. Known for her shyness and introverted nature, Hawkins doesn’t particularly like disclosing the details of her dating life (we don’t even know if she has an ex-boyfriend), but it’s been reported that she once made a pact with Corden that if the two of them weren’t married by the age of 35, they’d marry each other! Alas, Corden ruined any chances of there ever being a James Corden-Sally Hawkins dating timeline when he married his wife, Julia Carey back in 2012! Despite this minor setback, Hawkins and Corden have managed to remain very good friends and the 41-year-old actress seems to be perfectly content just focusing on her career and bringing home those in-demand golden statuettes! It seems those are the only men she needs in her life right now—you go, girl!